Frederick B. MacKinnon was born in Concordia, Kansas, in 1872 and graduated from the University of Kansas in 1893. In 1903, he became manager of the Lawrence Home Telephone Company, Lawrence, Kansas and in 1905 became the general manager of the Suburban Telephone Company, Tonganoxie, Kansas. He was elected secretary of the Kansas Independent Telephone Association in 1912. In the following year, he was elected to the position of secretary-treasurer of the National Independent Telephone Association, Chicago/Washington. In 1919, he became the president of USITA. For the next 17 years, he was the USITA president and represented the industry in the latter part of WWI, and was the spokesman and representative of the industry to the Post Office, Justice Department, House of Representatives, Senate and Regulatory Agencies. 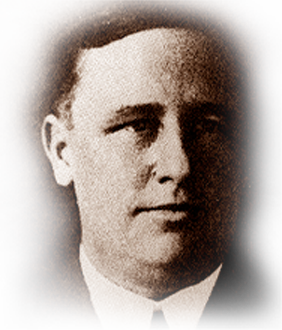 MacKinnon formulated industry policies and conducted negotiations with AT&T and the Bell Companies. He was a very persuasive and motivational speaker who charted the course for USITA to follow. He died in 1937.